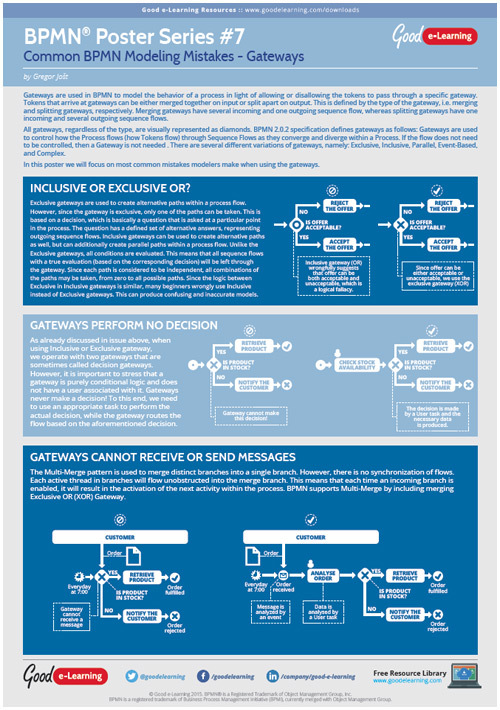 Gateways are an important aspect of almost every BPMN model. They introduce a behavior that can allow or disallow a certain path in the process. However, since their logic can be at times a bit confusing, we analyzed some mistakes that can be made if not using gateways correctly.